I love when people think about me. Don’t you love that random call or card you get in the mail. 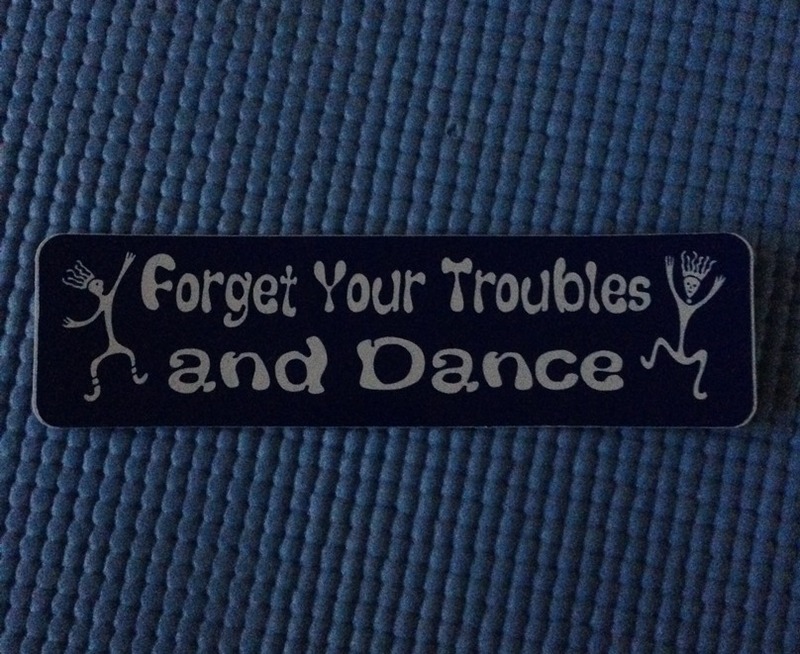 Or when someone brings you a little trinket and says, “I saw this and it made me think of you.” I received a sticker from a yoga student/friend. Makes me happy. It might not be an easy thing to do, but one can try. Dance your troubles off your mind this Friday Photo day!